Tell the community about the first model you ever built without the help of any one else. In other words, your first solo. 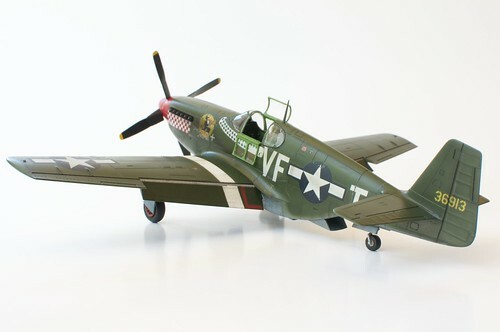 The first model I remember building was a Snap-Tite P-51D. I was probably eight or so…and it was for some class diorama thing that’s long since been purged from my memory. I do know that my dad helped me with it, though, so it certainly doesn’t count as a solo build. After that, my earliest years of modeling devolve into a series of glimpses more than fully-formed memories. So…since I can’t for the life of me recall what my first solo build was, perhaps I can instead dig up and share some of those glimpses. I remember building an F-15 in my best friend’s garage…and painting it gloss gull gray, because that’s what we had on hand. No primer, no detailing, and I’m pretty sure we flew them around his backyard as soon as they were dry enough to be just tacky. My parents were very into tennis when I was a kid, and so I would inevitably get dragged along to random clubhouses and left on my own for multiple hours at a time. At some point I started taking kits with me…and one image that sticks in my mind is sitting in the upstairs cafe at our country club, surrounded by the “thonk” of the tennis balls in the adjoining indoor courts, building Blue Thunder. Getting yelled at by my mom for spray painting a B-52 and getting the paint on the driveway. All things Desert Storm, really, which cooked off when I was at the formative age of 11. But what I really remember as it relates to modeling was seeing a display at some airport covered in Fine Scale Modeler. It was a display of every aircraft that took part in the conflict, and I thought at the time that it was the coolest thing I’d ever seen. My first airbrush was a Paasche H single-action. And I had no idea how to use it. Thinning? Huh? When I was, I don’t know, 12 or 13, I built the NCC-1701D Enterprise and actually got to display it in the local LHS. It was terrible, but for a kid with barely any idea what he’s doing, it was great. 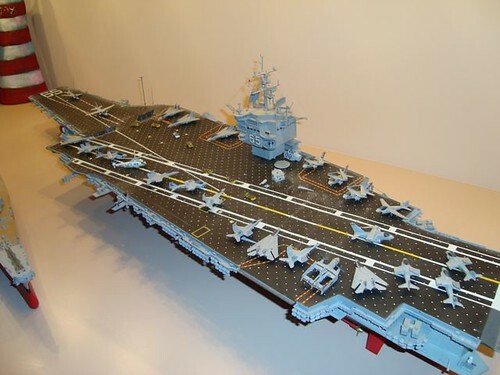 Another summer, flashes of working on Tamiya’s gigantic CVN-65 Enterprise. Particularly painting all the aircraft, dotting the deck tie downs with a white paint pen, and freaking myself out about applying the decals. Cheating perhaps, but I have to give a nod to the first kit I built when I came back to the hobby three years ago – Tamiya’s 1/48 P-51B Mustang. The difference between it and anything I’d ever built before is just…staggering. I chock it up to three things. The intervening years seasoning me, making me more patient and more interested in the craft. The hitherto unknown products…like solvent cement, Tamiya paints, and Eduard masks. And the internet, which is a treasure trove of information that I just did not have as a kid. So…that’s it. Not exactly my first solo build, but what are you to do when you don’t exactly remember?